William Shakespeare's “A Midsummer Night's Dream” this summer at the LVM Pokaiņi Forest will be produced by newly-created Dobele region community theatre group. Community theatre method is a wonderful way how to develop and unite local community, and we are particularly happy that theatre is moved from indoors to forest. Hopefully, this initiative will begin a further movement – move our everyday activities from indoors to outside – parks, forest, meadows. 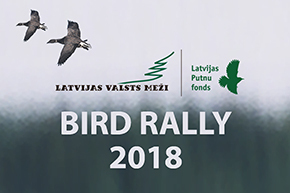 LVM Pokaiņi Forest invites everyone also in February build snowmen, go sledding down a hill and even to enjoy the wet thaws!